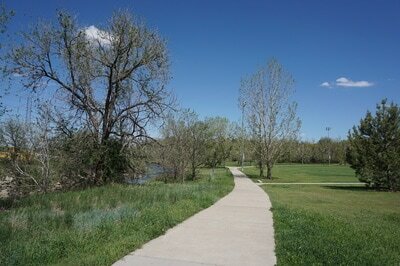 Directions: Johnson Park is located on Wadsworth Blvd, just south of I-70. The park can only be accessed driving on Wadsworth southbound so from I-70 exit Wadsworth and turn immediately right into the park and parking area. 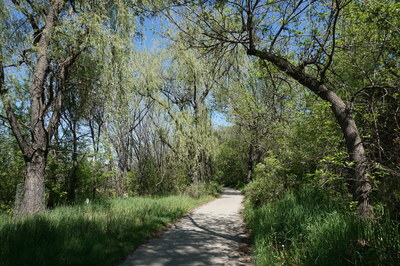 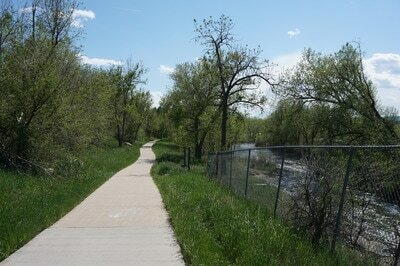 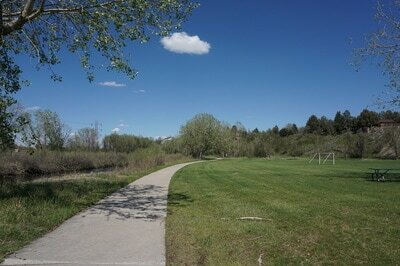 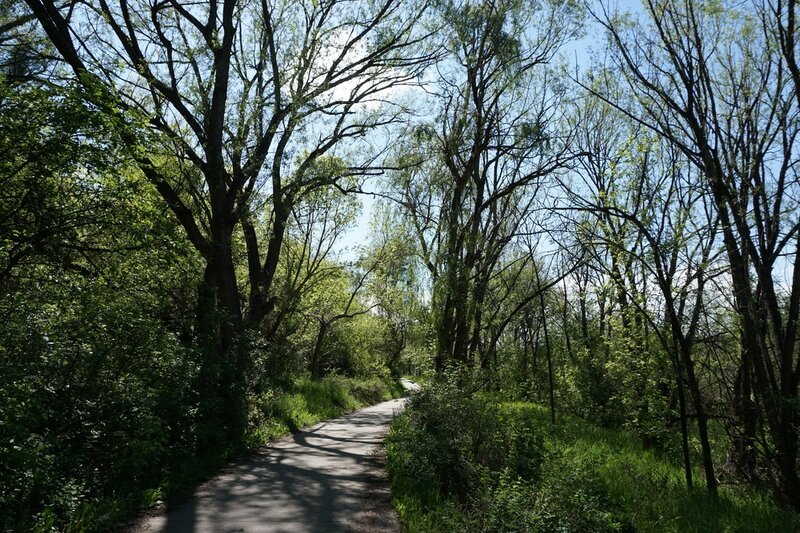 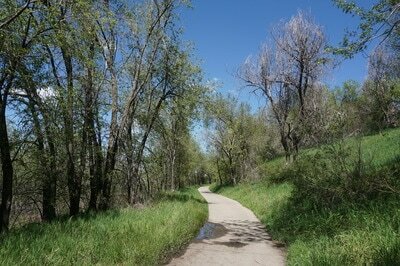 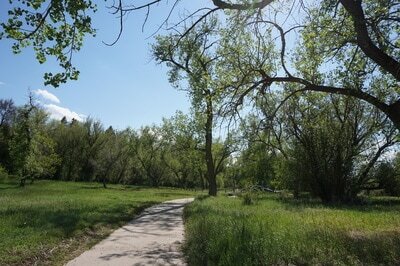 The Clear Creek Trail from Johnson Park heading west is one of the most scenic parts of the trail. 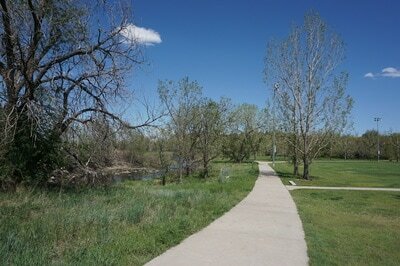 Heading east from Johnson Park is also extremely pleasant. 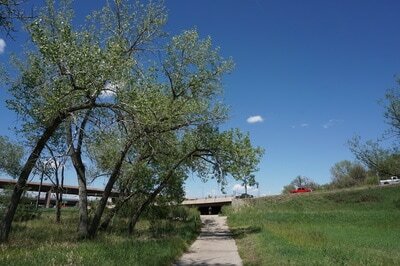 The first part of this segment is treelined and nicely shaded on hot summer days. The trail is set back from the creek and at the bottom of a steep gulch. 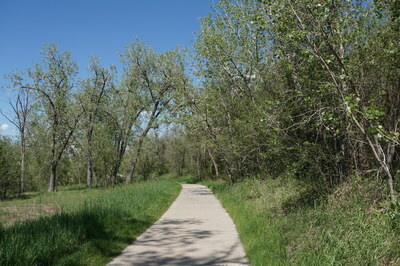 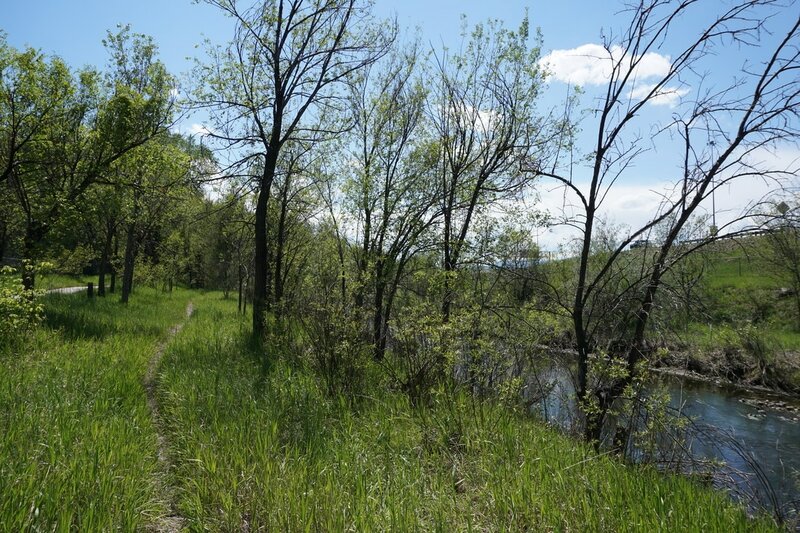 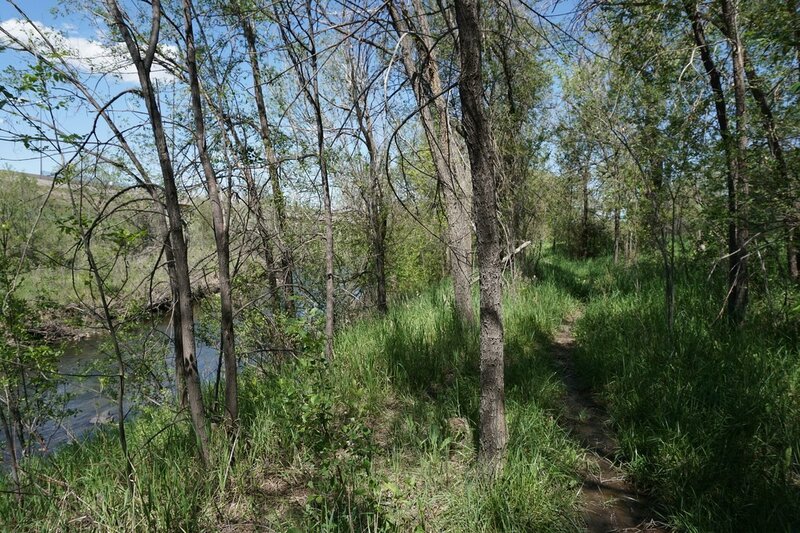 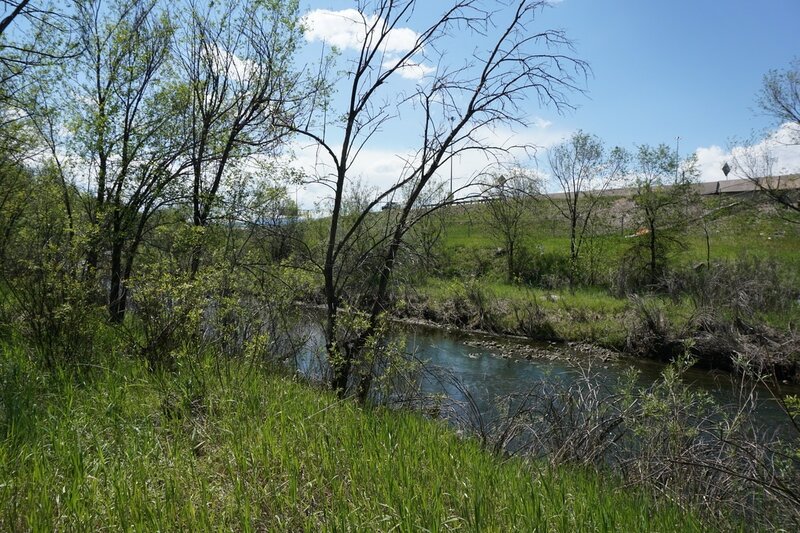 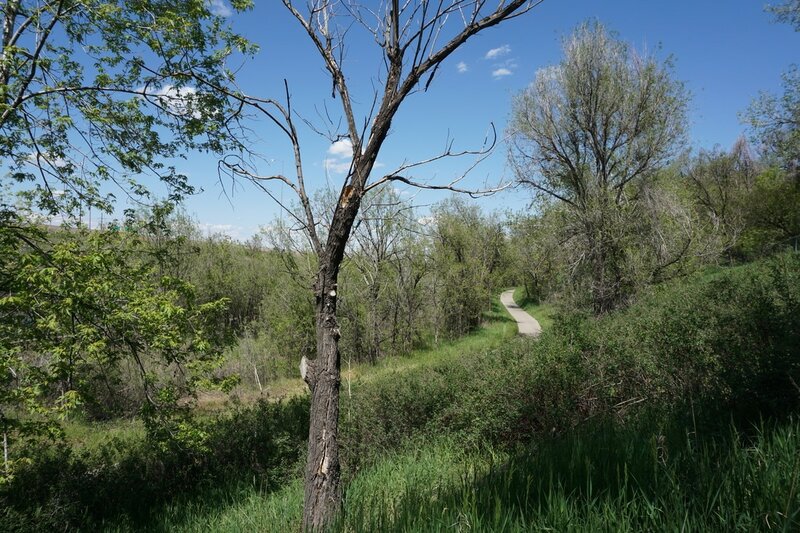 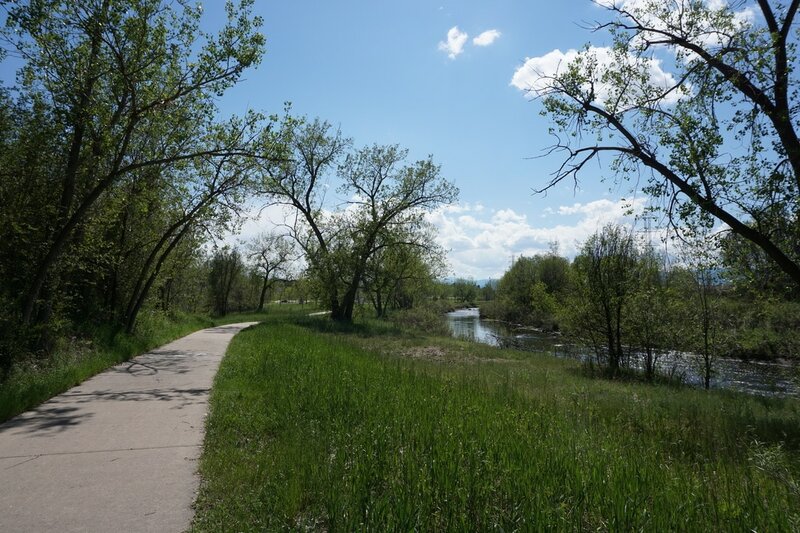 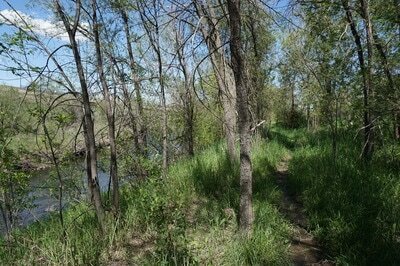 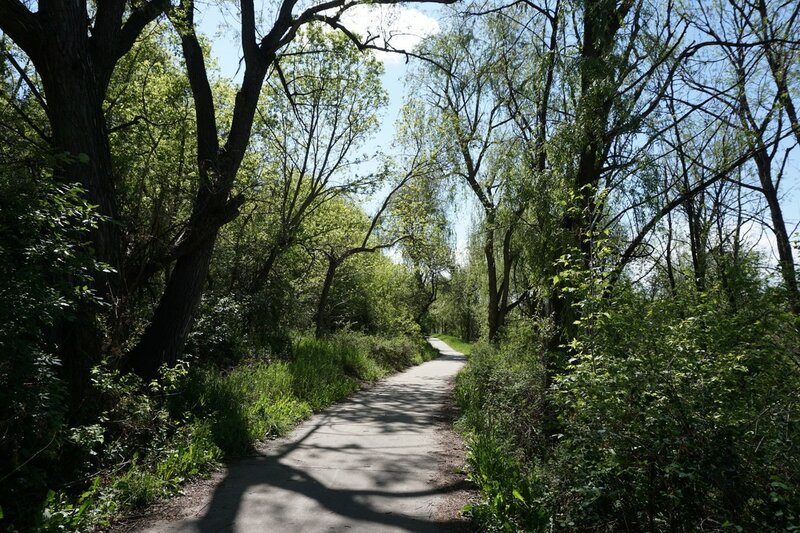 There is a faint and intermittent natural surface trail between the paved trail and the creek but for the most part the walking is done on the paved trail. 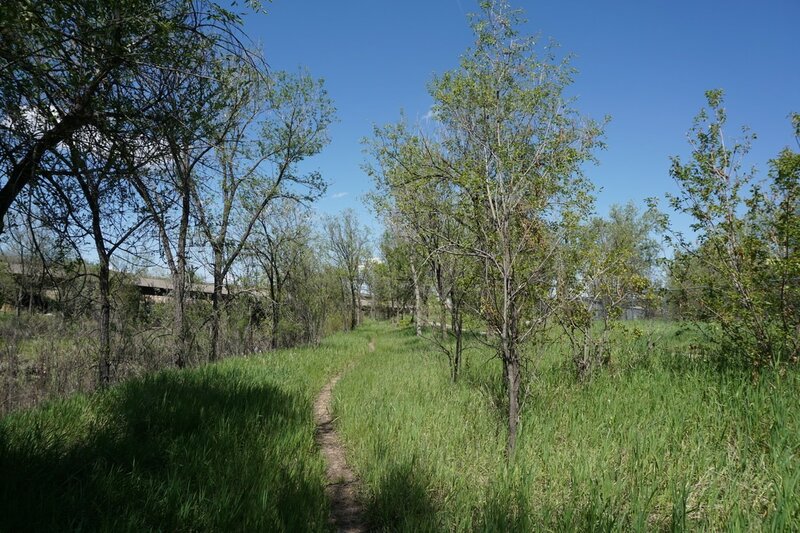 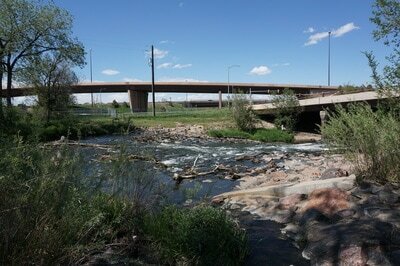 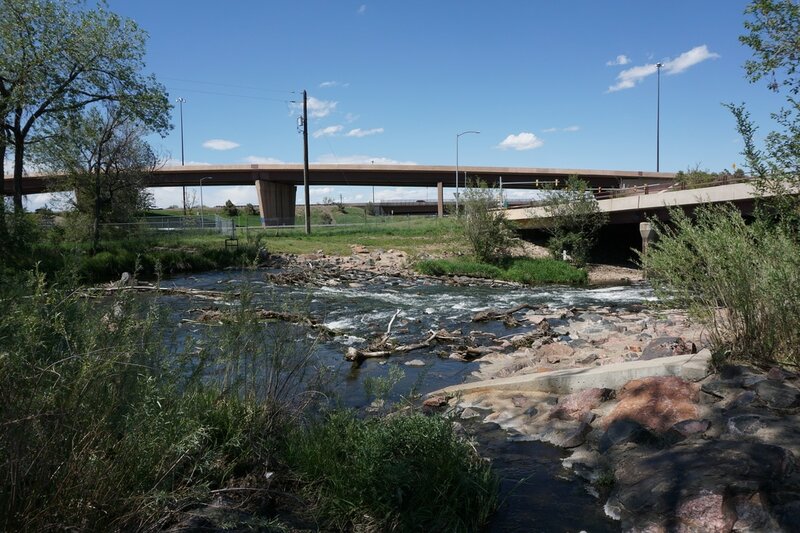 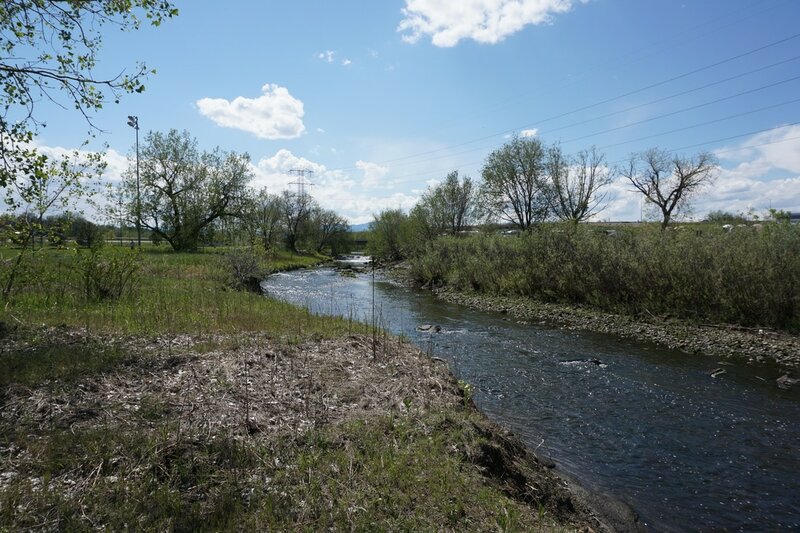 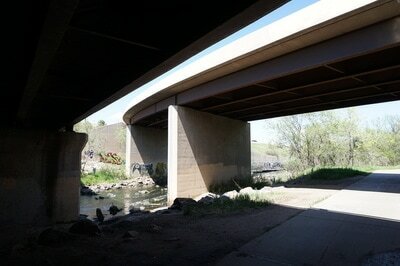 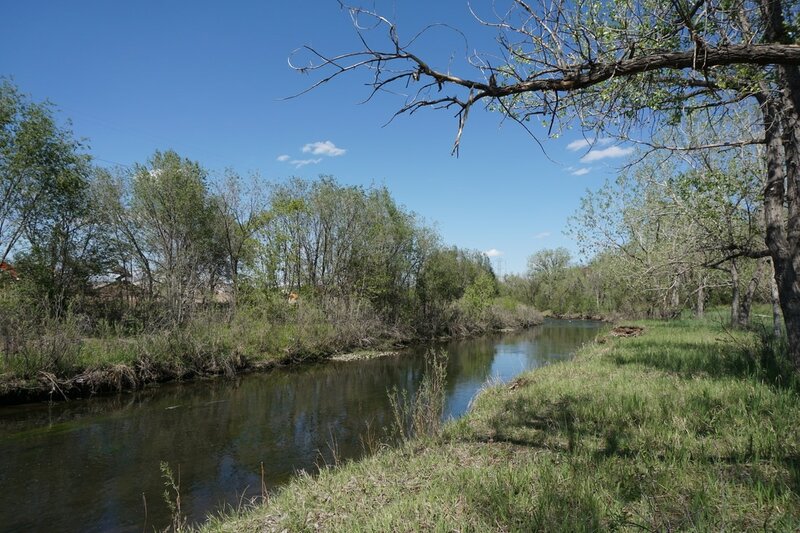 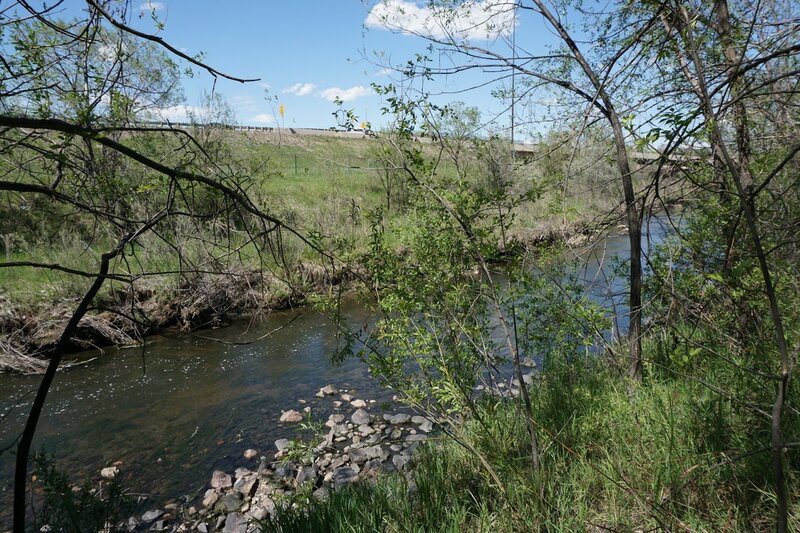 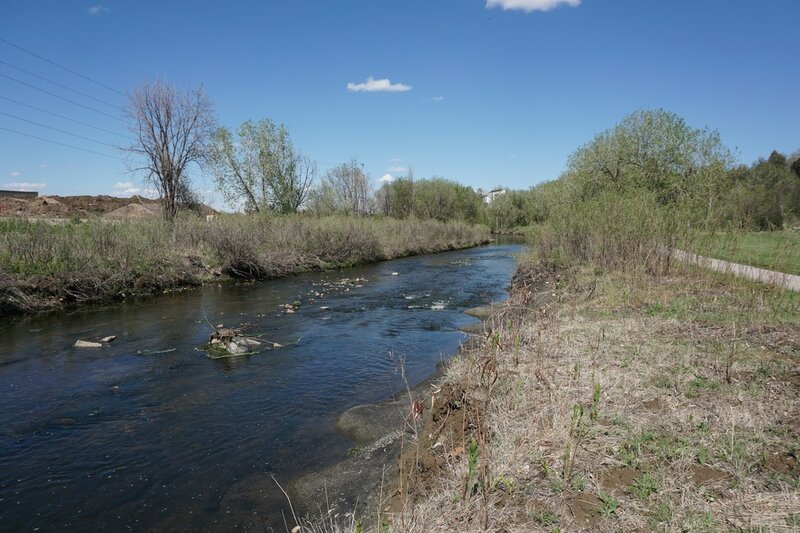 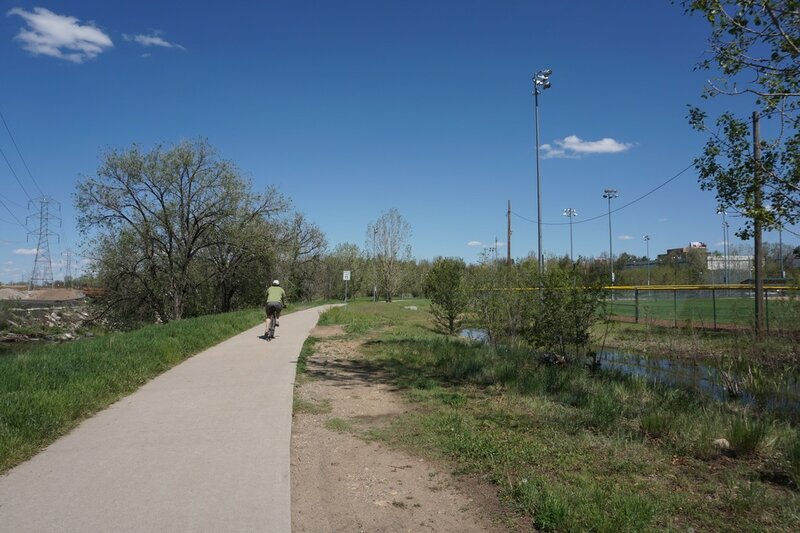 Before long you'll pass under I-70 and enter Creekside Park with ballfields, picnic areas, and a playground. 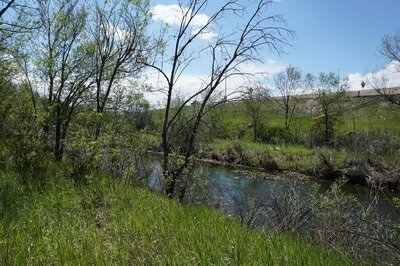 The views of the creek are particular nice in this area. 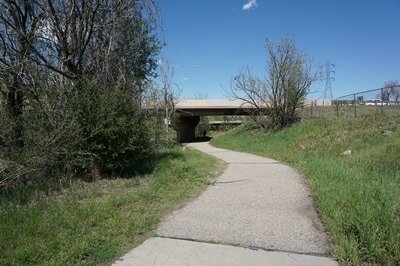 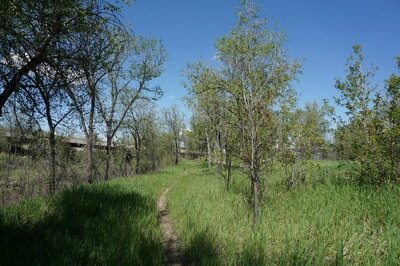 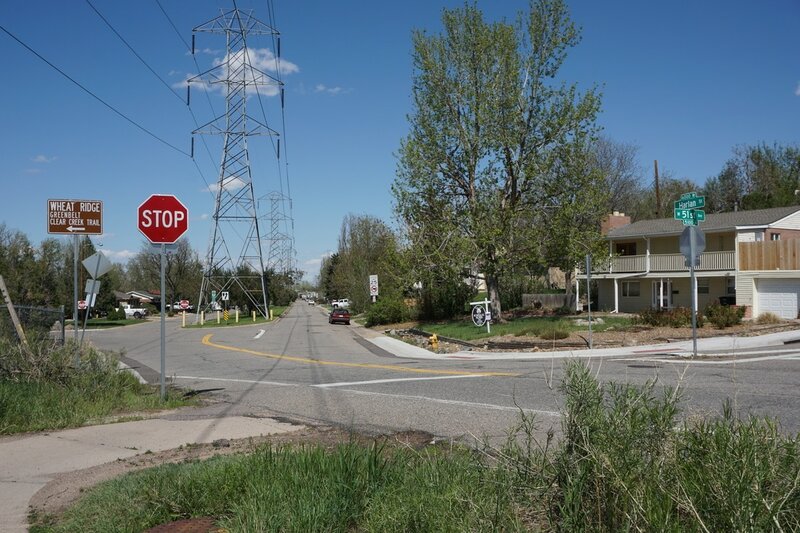 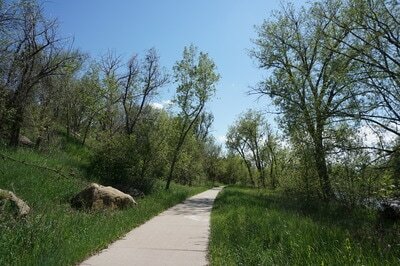 The trail then heads uphill to the intersection of Harlan and 51st Street.